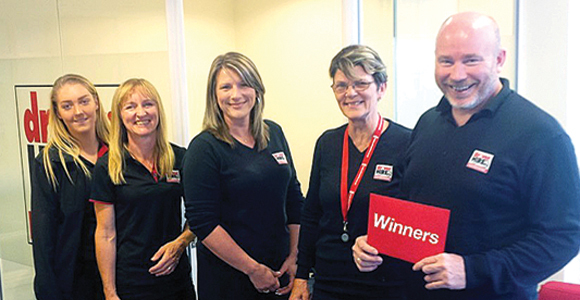 Tony Goacher, who has just celebrated his first year as a franchisee of Driver Hire Croydon is also celebrating winning Driver Hire’s National Sales Day. On National Sales Day the whole of Driver Hire’s 100 plus office network competes to see how many appointments they can book in a single day. Live TV broadcasts keep competitors up-to-date with the scores, with extra points earned later, if an appointment is turned into actual business. In addition to this winning performance, the Croydon team are enjoying an outstanding year as sales are currently 44 per cent up year-to-date, making them one of the company’s top 30 best performing offices. Driver Hire says that if business continues at the current level, Goacher and his team are in line to achieve a £1m turnover. To accommodate the growing business and an additional member of staff, it has relocated to larger premises. Driver Hire with a network of 101 offices across the UK provides temporary and permanent drivers and other logistics staff to businesses and organisations. It can also help customers when they need extra staff to deal with holidays, illness or business expansion.